The Dr. Martin Luther King, Jr. Black History Convocation will convene at 11 a.m. Feb. 8 in the Walter Roberts Auditorium in the H.G. Carpenter Building on the MVSU campus in Itta Bena. Judge Westbrooks, of Lexington, was elected to the Court of Appeals in November 2016, and took office in January 2017. She previously served as Lexington municipal judge, public defender in Holmes County, prosecutor for the city of Durant and as Isola city attorney. She was interim communications director for former Jackson Mayor Chokwe Lumumba and legal counsel for the Jackson Police Department. The Mississippi Women Lawyers Association named her Outstanding Woman Lawyer of 2017, and she was honored as a Legal Trailblazer by the Metro Jackson Black Women Lawyers Association in 2017. She was the 2016 recipient of the NAACP Delores Orey Lifetime Service Award. 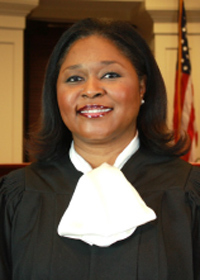 Judge Westbrooks earned a Bachelor of Science degree from Austin Peay State University in Clarksville, Tenn., and earned a law degree from the University of Detroit Mercy School of Law. After working as an assistant district attorney on the Gulf Coast, she joined the Jackson firm of Byrd and Associates in 2000, then opened her own law practice in 2001. She has worked with the Magnolia Bar Association, One Voice, the NAACP, the Mississippi Center for Justice, the Southern Poverty Law Center's Mississippi Youth Justice Project and the ACLU. She served as a Southeast Regional and Central Director of the Magnolia Bar Association. She previously chaired the Criminal Justice Committee for the State Conference of the NAACP. She is a life member of the NAACP, past board member of Leadership Greater Jackson Alumnae, past board member of the I.S. Sanders YMCA, and past board member of the National African American Student Leadership Conference.